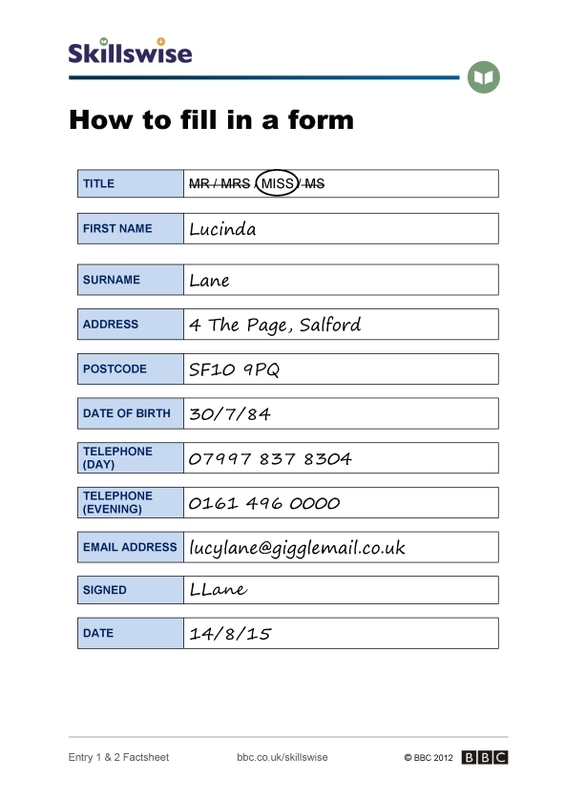 An introduction to filling in forms. Learners will be introduced to key words on forms. Explore with learners the fields on the form and the information that has been provided. 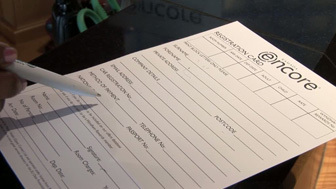 Think about additional information on forms. What information appears on most forms? Learners could bring in a selection of different forms that they could compare. If you have access to the internet, you could also compare printed and online forms. Identify what sort of information may be required on a form. You might explore the kind of details learners are likely to need to provide on a form and the kind of information they need to keep secure. Learners could discuss why forms are necessary and share examples of when they have recently been asked to complete a form.